Are you looking for a easy, delicious Instant Pot apple recipe for apple compote? Oh my goodness, I love apples and cinnamon and the season is upon us. Here’s a fun and easy Instant Pot apple recipe (1 minute cook time!) for compote to use up your apple-picking scores. 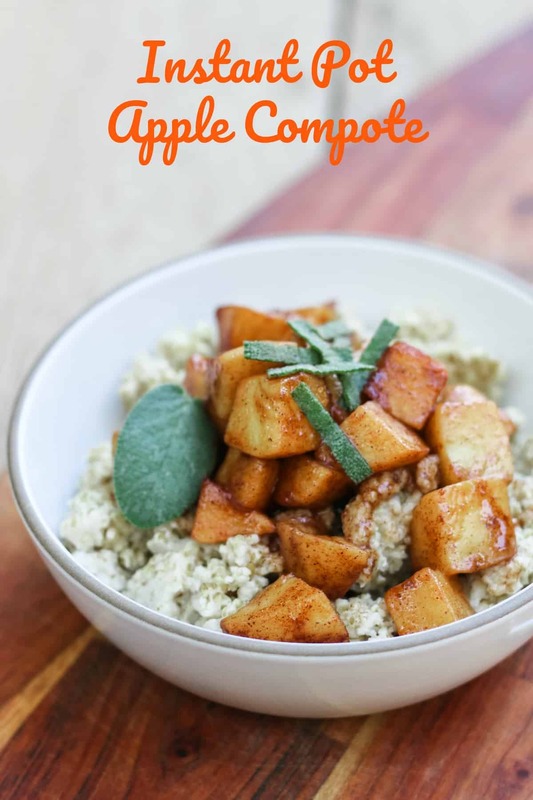 As you know we are very into our Instant Pot recipes lately, so I tried out a few apple-cinnamon compote combos and this one is my very favorite, and also the easiest! I like it on my steel-cut oatmeal in the morning, but it also works on ice cream or in a hand pie. Yum! Here’s a fun and easy Instant Pot apple recipe (1 minute cook time!) for compote to use up your apple-picking scores. I like it on my steel-cut oatmeal in the morning, but it also works on ice cream or in a hand pie. Yum! 1. Throw your chopped apples into the Instant Pot. 2. Add all the other ingredients. The butter can just go in in a pat, don’t melt it. No water needed for this recipe as the apples will release plenty. 3. Using manual settings, set high pressure for 1 minute. 4. Let the Instant Pot natural pressure release for 10 minutes. 5. Scoop out your compote and pour it on whatever you want! So easy. So tasty. I chopped up a little fresh sage from the garden and sprinkled on top for an extra dash of savory flavor. 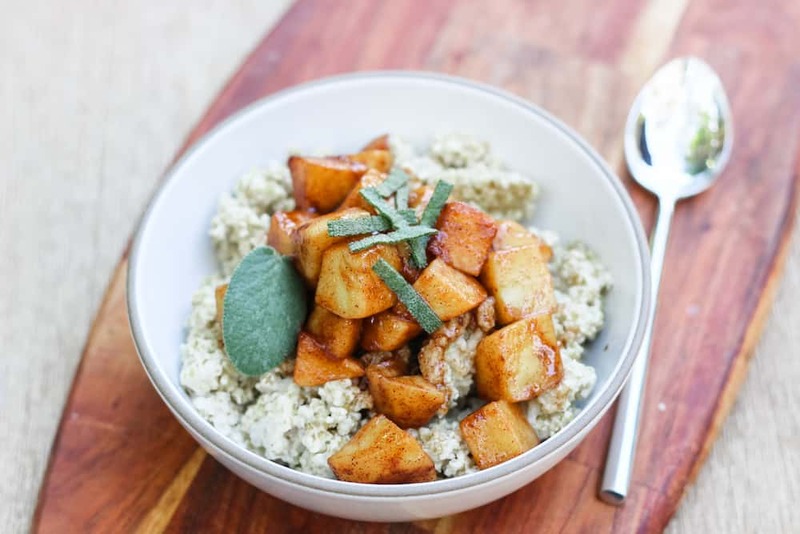 Do you have an instant pot apple recipe that you love? Share it with me! Check out some of our other Instant Pot Recipes, or these fun recipes for 2-Minute Single Serve Microwave Apple Pie, Apple Cream Cheese Muffins, and Homemade Cheez-it Apple Pie. Or how about a Spiced Apple Champagne Cocktail? Or a Hard Apple Cider Mimosa? Yum. Super easy and delicious! My family loved it! Very straightforward, quick, easy, and tasty on pancakes. We thickened it up w/ little tapioca starch after it was done. Amazingly quick.